These Vandoren mouthpiece cushions provide an excellent amount of comfort to a woodwind mouthpiece and prevent scoring and marking from teeth. 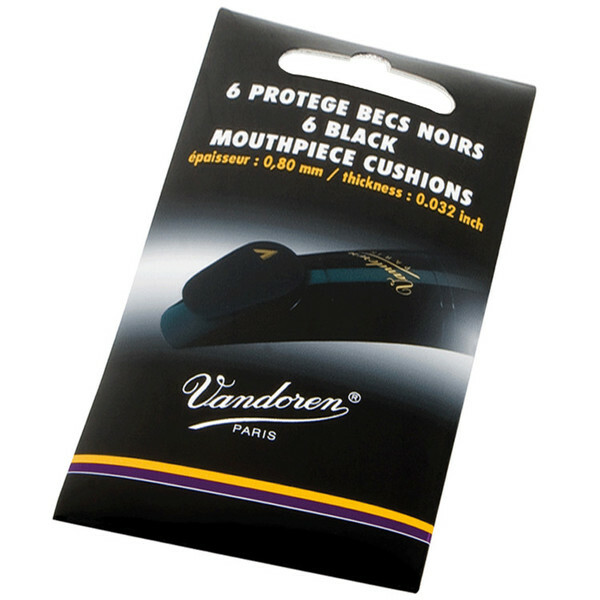 These Vandoren cushions provide the extra bit of comfort that many woodwind players prefer. Not only does it provide extra comfort but it also prevents teeth marks on the mouthpiece which result in the mouthpiece being defaced. The cushions also restrict unwanted vibrations between the mouthpiece and the performer's mouth, providing a more enjoyable playing experience.